The OTTO Mount is an accessory for on-the-bike carry of OTTOLOCK. It's made of flexible silicone and has four (4) ladder strap hooks to ensure a snug, secure fit for multiple places on your bike. The OTTO Mount includes predefined cut lines so you can confidently alter the length to your preference. 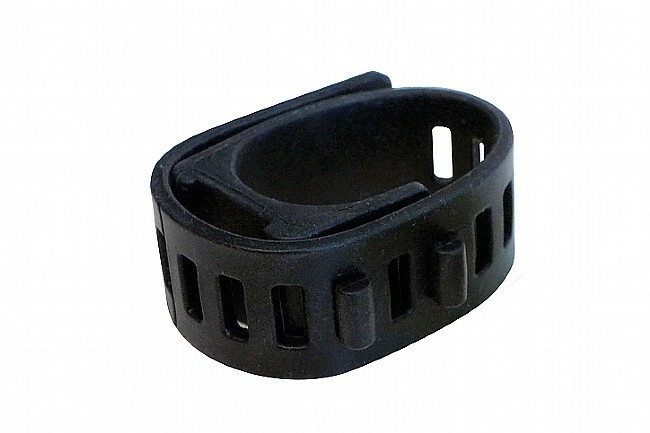 The clamping area is perfect for the OTTOLOCK, tubes, pumps, or other cycling accessories. Please ensure all four hooks are engaged with your OTTO Mount ladder strap, and you position the OTTOLOCK head weight near the clamp.